WOW what a perfect letter. More Dad’s should love their Kids half as much as you love yours…Hope you’ll be feeling more like yourself soon. Stay Strong! I alway like when you visit and comment. We are very lucky to have a child. 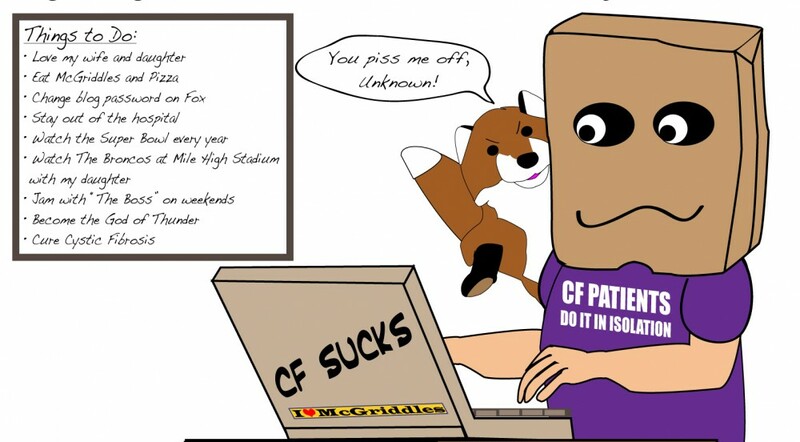 CF doesn’t always allow it. No reason not to love her with everything we have. I look forward to the day I’m not beat tired by 5 or 6.
how blessed you all are to have each other. much love! I agree completely with your opinion, Dr. Sean. You are wise. Your letters to your daughter always make me feel warm and fuzzy inside. Hope you’re feeling on the upswing. Warm and fuzzy is good. I am neither on the up or down swing. I am on the holding swing. I’ve written a letter to my daughter each month since she was 2 months old. (That may sound more impressive than it is – she is just approaching 15 months.) It is my greatest hope that someday, perhaps after I am gone, when she is old enough to read and understand the things I’ve written, she will be able to feel the love I have for her, as well as learn a little bit about herself AND her Mama. Not a lot of people understand my need to tell her the things that I do in these letters, but I have a feeling that you know exaclty what I mean. Yes, I think I understand the need you describe. There are so many things I want her to know if I’m not there. I just don’t think I’ll ever be able to say or write all of them. That makes me sad. I just try to make the ones I write count. Not sure I succeed. Thank you. I always accept compliments and pay well for them in cash.